A luxury home that requires only one thing – your name on the title! A home in Costa Rica is more than a home, it is a reflection of who you are and the image of your personality. Casa Tanglewood speaks to those buyers who desire privacy, luxury, views, entertainment and yet simplicity. This home has been immaculately maintained by the owner with no money spared in maintenance, upkeep and is fully prepared for any buyer to immediately move in. This is a Spanish styled luxury home situated in the mountainous community of Lagunas, which is just minutes from Dominical. The residence is perched high above the jungle valley at an elevation of 900 feet above the sea. The home and its luscious landscaped estate provide security, as well as peace and quiet while providing miles and miles of ocean views and gentle breezes throughout the day. The Lagunas community is exactly that, a community of homeowners. The homeowners work together for a safe, integrated and well-maintained mountain retreat and residential paradise. 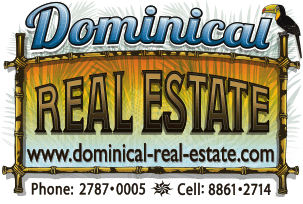 The community includes high end and secluded private residential estates, with each home having access to the community water system, year-round well-maintained roads. Casa Tanglewood is quite unique to the southern part of the Costa Rican Pacific coastline. In terms of style, maintenance, and the overall balance of tropical living while holding true to the atmosphere of Costa Rican expectations. The home is incredibly maintained with its current owner never having put the home in any rental pool but only used for the exclusive use of their family. This home is one of the most exquisite homes in Southern Costa Rica, offering a cobblestoned entrance meeting the security gate as one drive into the paved driveway. Offering a fully automated and enclosed 2-car garage. The front of the home and entrance to the estate comes through a gated courtyard. The landscaping for the home is immaculate with the careful placement of natural vegetation, jungle-influenced planting along with a significant tree coverage for shade. The home offers its owners privacy for themselves while drawing in the animals and birds of the country. This luxury estate features three bedrooms and three baths in the main home. The home is smartly decorated while allowing the new owner to make changes to their style without limiting the personal touch. There are an expansive living room area and a large and open kitchen with tons of storage and space for all your living needs. The main house features the ideal layout for entertaining and personal comfort. The home offers a well-equipped kitchen with new appliances, a sit-up bar, quaint dining area, large living room, large laundry room, and much more. The gourmet kitchen and dining room feature all-new stainless-steel appliances, a built-in wine rack, and wine cooler, hand-crafted cabinetry, and a custom-made dining table with seating for six. Off the kitchen through dual opening doors is a wonderful private courtyard, where you can sip your morning coffee and watch the local wildlife in your own secluded Costa Rican courtyard. The kitchen leads to a sunken living room with newly decorated and professionally finished furniture. The main residence includes three large bedrooms with two of the rooms on the main floor. The one room is an upstairs suite with its own private bathroom and a large rooftop terrace. The master suite is located on the first floor and is a “mother-in-law” plan positioning the master suite away and secluded from the rest of the house. The master bathroom has a very large built-in tub and spa, and a large and very open walk-in shower. The suite offers an enormous walk-in closet. The master bedroom provides separate doors that allow direct access to the backyard paradise and the inviting infinity pool. It is truly a master suite in every sense of the word. When traveling upstairs, the spiral stairs puts you into an open and very lit private galley, which can be used as an office or a private room for reading or hobbies. The galley has views facing south and north with several window views. The upstairs rooftop patio is a virtual sun deck on the upper roof which is your personal patio featuring picturesque 360-degree views. You can see all the way to the Diamante Waterfall, and Manuel Antonio to the North while offering miles of Pacific coastline with beautiful coastal sunsets. The outdoor entertaining areas have been well landscaped and maintained. The large infinity pool faces the Pacific Ocean, so you’ll never miss the breathtaking Costa Rican sunsets. The pool area provides ample space for chase loungers and gliders situated around the pool, making it easy to bask in the sun. The pool area and backyard also offer covered gazebo/pavilion, featuring an outdoor dining table and chairs. This allows you to entertain, no matter what the weather conditions. The current owner also recently built an oversized wooden deck. The deck offers staggering views into the Valley below, a custom-built outdoor fireplace, ideal for cooking wood-fired pizzas outside with friends or simply enjoying the night with a warm fire in the background. To complement the Main house, the property offers a fully equipped and private Casita. The Casita is self-contained with its own master bedroom and apartment fully equipped with all the kitchen needs. The master bedroom has views into the jungle from the private king-sized bedroom suite. It has its own jungle nest surrounded by privacy and vegetation and a gorgeous view of the Valley and the Ocean. For potential choices of use, the Casita could be used for large numbers of guests and visitors, as well as for an independent rental unit to provide income while leaving your Main house for your personal use. The private stairs from the Main house to the Casita separates the two living quarters, if desired, making this an ideal option for a caretaker, a rental apartment, or a mother-in-law unit. All of the furniture and appliances come with the house. While it hasn’t been a vacation rental property yet, this home would do exceptionally well as a high-end luxury rental home. The property staff lives in the Lagunas area and has maintained the home and property for several years. Whether you are looking for a second home or a vacation property, this ocean view property in Lagunas Valley is perfect for you.